Buying a boat? Fidelity Finance Group has become something of an expert in the area of boat loans, both power or sail, for pleasure or business. We’re also boat enthusiasts ourselves and understand how to finance a boat purchase. So whether you want a personal boat loan or a business/charter boat loan, we can search amongst our 20 lenders for the solution that’s right for you. Then we’ll process the application and manage the whole process to make marine finance easier, so you won’t be left waiting in queues. We’ll be your finance skippers. Then when considering whether a particular boat loan is right for you, ask yourself how long you are likely to keep the boat? Will it be purely a pleasure boat, or could there be some business use? In evaluating one marine finance proposal over another, Fidelity Finance Group can make you aware of obligations like your minimum commitments, the boat loan’s security and any special conditions which apply. How to drive a harder bargain. Before you go out and start shopping for a boat, it’s worth obtaining a pre-approval for your boat loan. First complete an application, then you’ll be in a better bargaining positioning and can confidentially negotiate knowing that the boat finance is ready to go. We suggest first putting in place a loan for a ‘hypothetical’ boat, you’ll pay no application fees. 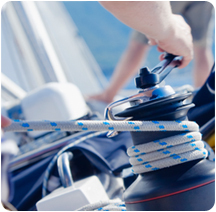 Once your boat loan is approved, we'll manage settlement and payment to the supplier. Also, don’t limit your options by securing your boat loan against real estate. If you are using your existing bank, make sure they have not ‘cross collateralised’ the loan against your home or other assets. With Fidelity Finance Group, in 99% of instances the boat should stand as its own security. Your capacity to meet repayment based on your income. Complete a boat loan application now, without obligation, click here or phone +61 (2) 9212 0799 to talk with one of our boat finance specialists.